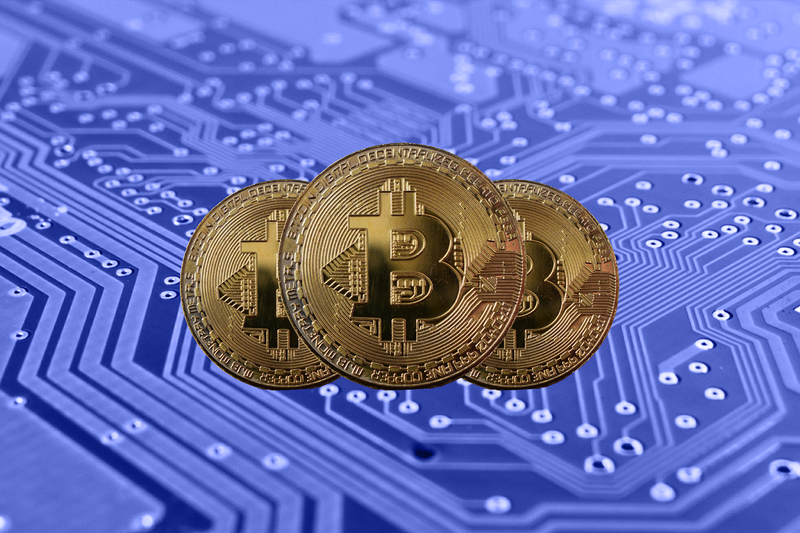 AMD (NASDAQ:AMD) and NVIDIA (NASDAQ:NVDA) stocks are both down premarket because of reports that TSMC warned about weak crypto demand. Really, c'mon, let's see what TSMC really said. "...while the continuing strong demand for cryptocurrency mining moderated the mobile softness." Uh, wait a minute. "Strong demand for crypto"??? Did I read that right? That's not weak. Right. Weak does not equal strong right? I have that right, right? Strong is strong. "Moving into second quarter 2018, continued weak demand from our mobile sector will negatively impact our business despite strength in cryptocurrency mining." I'm sorry, what did they say? "Strength in crypto mining." Are you serious? That sounds pretty current to me. I'm going to ask you a little question. What do you think if AMD and NVIDIA say on their earnings calls that they saw "strength in crypto mining." Oh my that would be exciting, wouldn't it? Look out shorts. We're bullish on both AMD and NVIDIA because we think there are offsets to the crypto weakness that can help the numbers blow out anyway. But, oh my, if crypto ends up being better than very weak, look out, this is going to be fun. 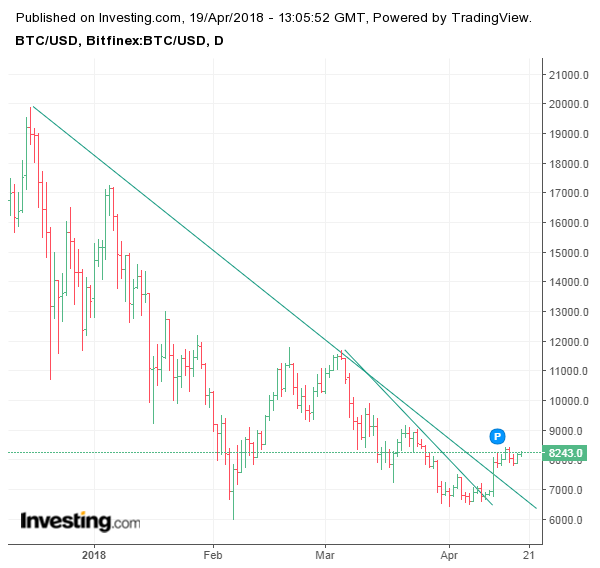 We're using the bitcoin chart as a proxy for crypto in general. 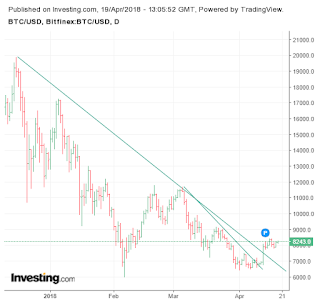 Anybody notice that Bitcoin broke its downtrend which is a bullish technical move. The same way crypto currency prices dropped they can rise. It's based on every Uber-cab driver and their mother chasing the trend. That can cause this trend to move back up just as easily as we've written. As for mobile weakness, we've been saying that's the main weak part of techland and we're avoiding that sector for now. C) Crypto is going to substitute for all of the world's fiat currencies by the end of the year. D) They are seeing strength in cryptocurrency mining.